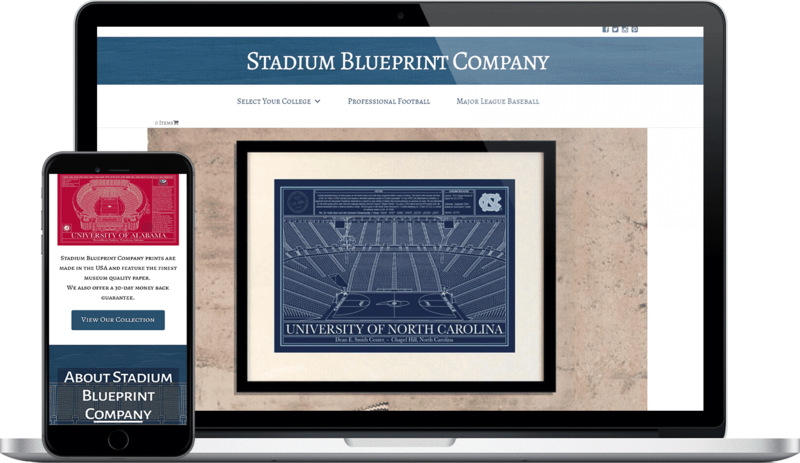 Stadium Blueprint Company has been featured in many publications for its unique stadium artwork. 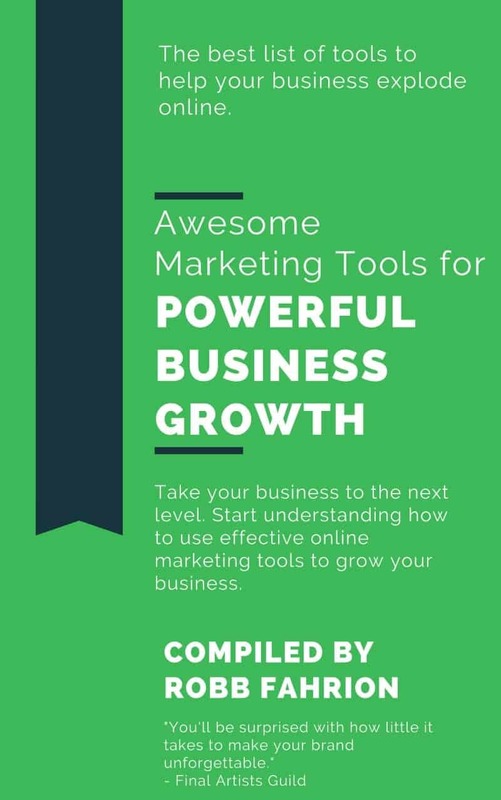 Flying V Group was able to re-design their website and increase sales by over 85%. FOR THE SPORT LOVER IN YOUR LIFE. 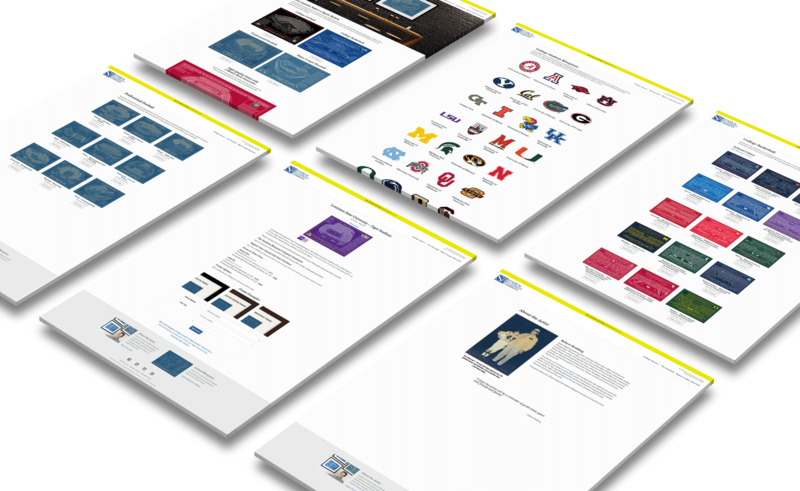 Stadium Blueprint Company applies architectural blueprint drawings to your favorite school's team or professional team. With over 250 SKUs, Flying V Group built an e-commerce store equipped with all the bells and whistles you need to move over 10,000 units! Flying V Group was also tasked with ranking SBC on the top pages of Google for specific search results.